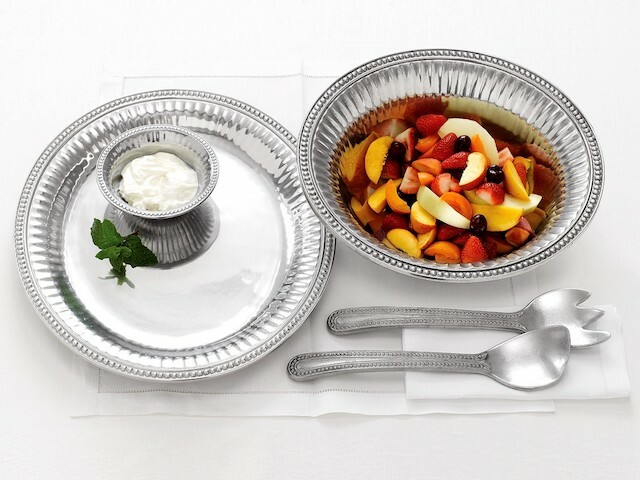 Wilton Armetale Serveware is long lasting and perfect for the oven, stove and grill. Heat safe to 1000 °, Armetale is ideal for cooking and serving food. Hot food stays hot longer at the table. Chill or freeze – Armetale serveware keeps cold food cold. Armetale products will not break, crack, rust or tarnish... no need to polish. We provide many design and types of serveware to choose from to entertain and for everyday use.